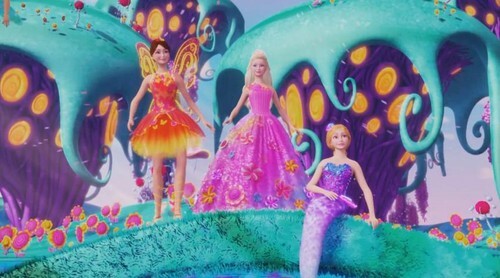 Nori the fairy, Princess Alexa, and Romy the mermaid. . Wallpaper and background images in the バービーシリーズ（映画） club tagged: photo barbie secret door 2014 princess alexa nori romy. Watch バービー 映画 in hindi on YouTube !